Good morning! I hope you’re having a great Tuesday. If all goes according to plan, I’m totally sleeping right now. Today I have another Stamp, Ink, Paper design team card to share with you. I’m the guest designer over there for February. 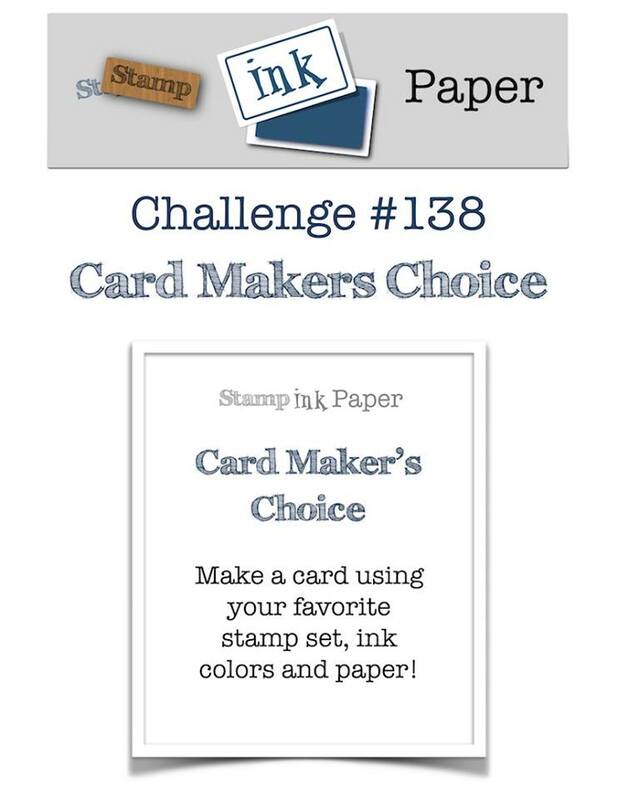 This week’s challenge is a Card Maker’s Choice, which means… make whatever you want! 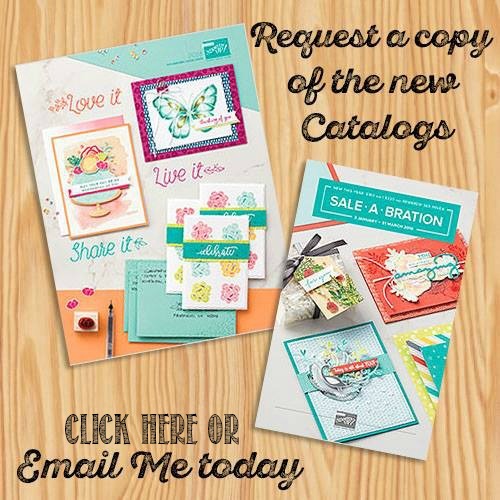 I decided to go with some of my favorite colors — Berry Burst, Lemon-Lime Twist, and Bermuda Bay — and used one of my favorite suites from the Occasions Catalog, the Picture Perfect Party suite. My card base is Bermuda Bay, and I added a mat of Whisper White. The Peekaboo Peach paper is from the Tutti Frutti paper. The confetti paper and party blower are both from the Picture Perfect Party paper. 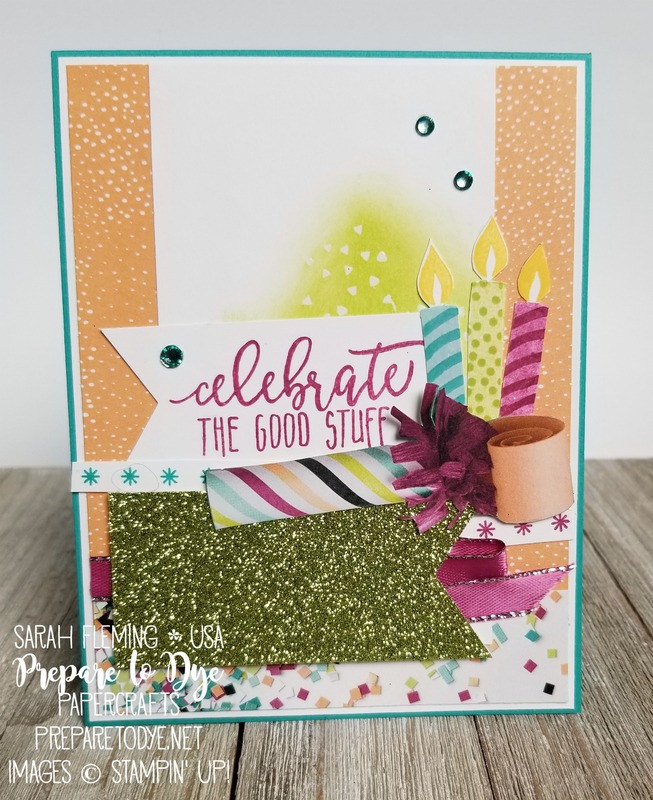 The sentiment, asterisks, and candles are all from the Picture Perfect Birthday stamp set. 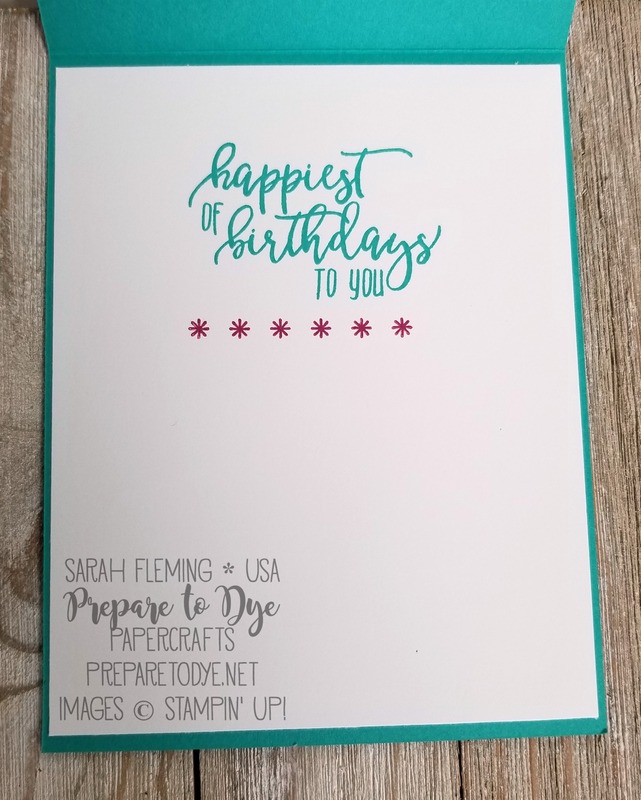 I also stamped the white piece behind the sentiment with one of the confetti stamps from Picture Perfect Birthday in Versamark, then heat embossed it and sponged Lemon-Lime Twist ink over it. The ribbon is the new Berry Burst 3/8″ Metallic-Edge ribbon. This stuff is gorgeous! I colored the rhinestones with the Light Bermuda Bay Stampin’ Blends.